Explore resources and teaching materials for using Geographic Information Systems in the classroom. These sites provide information and advice about how to use GIS in introductory courses and other classroom situations. 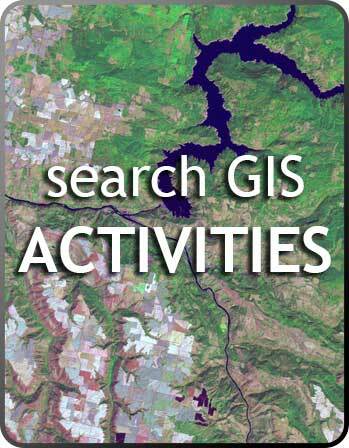 Click the images above to browse teaching activities and course descriptions related to GIS topics. Collections are contributed by faculty and may include service learning projects, writing assignments, field trips, course descriptions and syllabi. Teaching with GIS in the Geosciences - This collection of pages explains what GIS is, why it is used, and how to use it in an introductory geoscience class. Examples of its use in the classroom are also included. 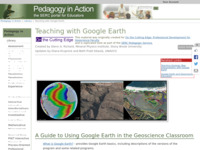 Teaching with Google Earth - This module contains a wealth of resources for incorporating Google Earth into the classroom. It includes background information and example activities. 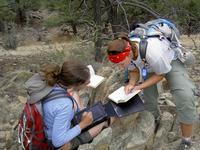 Teaching with GeoPads - GeoPads provide a fundamentally new way to engage students with learning in the field by creating a learning environment that integrates mapping, note taking, and visualization applications. This website will provide the essential information you'll need to design and implement your own field activities using GeoPads. We invite you to freely use the information presented on these pages, and to contribute your own instructional activities to these collections in the future. The site includes a page on mapping software as well as on data resources. 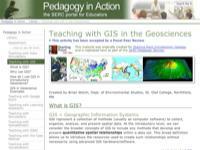 Teaching with GIS in Geoscience: Examples - This is a browsable list of examples of how GIS can be used in the classroom. Each example includes a description of the activity, its learning goals, teaching notes and tips. 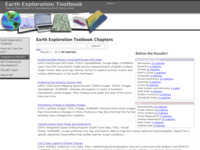 Earth Exploration Toolbook GIS Resources - This searchable list of resources enables users to incorporate GIS into the classroom using the Earth Exploration Toolbook. Each example includes a description of the activity, teaching notes, step-by-step instructions, information about the tool and data, and a "going further" section, when applicable. 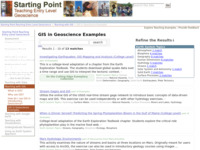 Teaching with Maps - Designed for K12 Science Teachers, these pages provide links to collections of online lessons that integrate mapping. 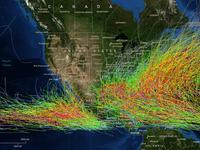 Using maps in the K12 classroom invites curiosity, encourages exploration and inspires problem solving. Maps can be used to explore a multitude of topics and can incorporate visual learning, spatial thinking and quantitative skills into a lesson. 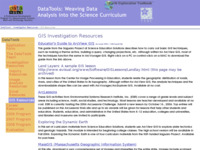 DataTools: Weaving Data Analysis into the Science Curriculum: GIS Investigations - This site provides numerous links to GIS data sets and associated teaching activities, as well as a link to background information for educators.